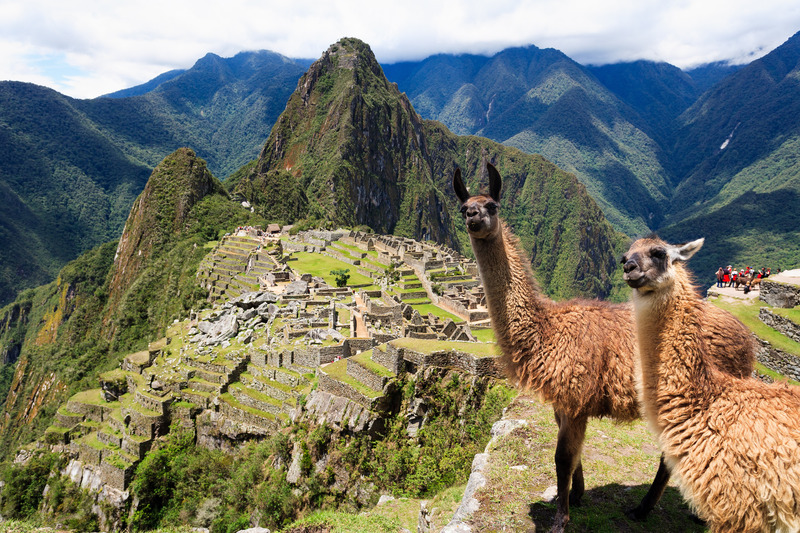 In just 10 days, you'll see the very best of the Peru's Andes and Amazon, visiting the Sacred Valley, Chinchero market, Inca sites & ruins, plus a one-day trek on the famous Inca Trail, the spectacular Royal Inca Highway, culminating with a Machu Picchu tour. End your exploration with a 3-day stay in the Amazon at the Tambopata Eco Lodge. Choose your own date on this custom itinerary. Day 1 - (Friday) Travel to Lima: We meet your flight and transfer you to a comfortable hotel for overnight. Daily breakfasts are included; other meals included are designated BL (Box Lunch), L (Lunch), D (Dinner). Day 2 - Cuzco: Morning flight to Cuzco. After resting for several hours to adjust to the altitude, we tour the Inca palaces, colonial temples, and fascinating streets of the former capital of the Inca Empire. We also visit Saqsayhuaman, the enormous Inca fortified ceremonial centre overlooking the city. 0/N in Hotel Taypikala or similar. Day 4 - Ollantaytambo/ Pisaq: We spend the morning In the town of Ollantaytambo, where many buildings display original Inca stone foundations. The adjacent Sun temple offers some of the finest stone construction we’ll see on the trip. After lunch we explore the fortified ridgetop temple site at Pisaq. Return to our country inn. LD. Day 9 - Lima: We return down river to Puerto Maldonado and fly to Lima, arriving in mid-afternoon. After checking into our hotel, you'll have some time for last-minute shopping and to enjoy sunset over the Pacific from the cafes on the Miraflores boardwalk. Day 10 - (Sunday) Home: Transfer to the airport for your flight home. Comfortable superior class hotels (shared twin basis; single accom­mo­dation is avail­able at extra cost); daily breakfast; (budget US$60-70 for other meals); air­port transfers on sche­d­uled arrival and departure days; tips for bag­gage hand­ling; Machu Picchu Trekking permit fee (billed separately, to be prepaid with trek); Cuzco multi-site entrance ticket plus entrance to Cathedral and Santo Domingo/ Koricancha church; recon­firmation of flights.